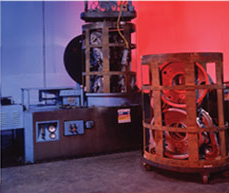 Fort Wayne Anodizing offers both dry (vacuum & pressure) and wet (vacuum only) impregnation processes. Its impregnation capacity is one of the largest in the country. 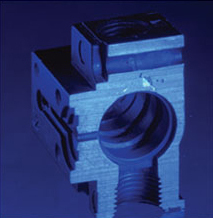 Capabilities include the flexibility to do just a few parts or long production runs. Quality and dependability are evident as several engine and automotive manufacturers as well as all branches of the Military use Fort Wayne Anodizing's impregnation services. Large Capacity …parts measuring 32” diameter with a weight of 2,000 lbs can be impregnated. Highest Quality …all steps in the process are carefully monitored and managed through a sophisticated electronic system. Only “QPL” …approved materials are used. 95% + Recovery …that is the average recovery rate for porosity defective parts. Fort Wayne Anodizing can dramatically reduce the number of reject parts due to leaks and imperfections. THE BOTTOM LINE ON FORT WAYNE ANODIZING IMPREGNATION…FAST, RELIABLE AND COST EFFECTIVE!